A second site in Falmouth is set to be acquired by a national developer to build student accommodation in the town. Empiric Student Property plc has exchanged contracts to buy Ocean Bowl car park on Pendennis Rise at a cost of £2.3 million. 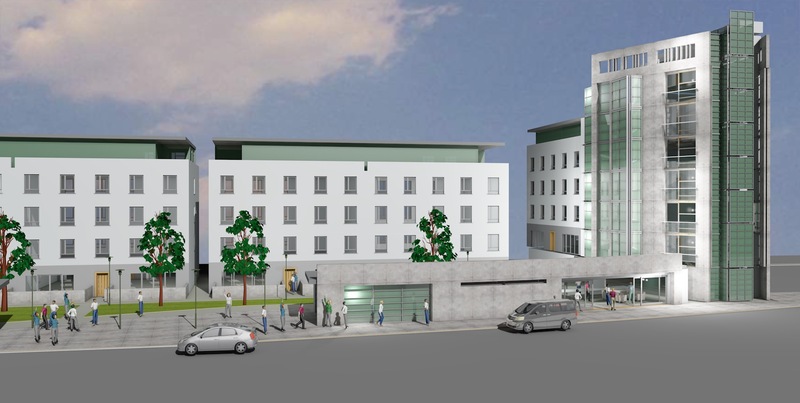 The developer is applying to Cornwall Council for planning permission for a 287-bed student accommodation development on the site, consisting of two buildings.One a mix of studios and two and three bed apartments; the other a combination of four and six-bedroom town houses. The site is located adjacent to Empiric’s existing operating property, Maritime Studios, within a few minutes’ walk to the Woodlane campus of Falmouth University and the Marine School, and with good public transport links to the Penryn campus. On completion of both phases of the development, the group will own 425 operating beds in Falmouth. The deal was negotiated on behalf of Empiric by Miller Commercial Chartered Surveyors. Investment partner, Peter Heather, said: “The market for student accommodation in the UK is very strong with portfolio transactions hitting their highest level in a decade. The sector is providing opportunities for funds seeking large long-term investments.